The vast redevelopment of the Royal Arsenal site hasn’t yielded much in the way of decent nightlife so far. Young’s opened the Dial Arch a few years ago, and whilst in a lovely building, I find it all a bit uninspiring and corporate. The beer choice is often poor, with five pumps all offering very similar types of beer. Food is patchy – sometimes good and sometimes very average. They also lack much initiative with evening entertainment. Music played is often middle-of-the-road dreariness at best (Coldplay, U2 kind of stuff), and is far behind what Antic’s Woolwich Equitable offer. Recently the Equitable have had some great live music on Friday and Saturday nights, and DJs on afterwards playing a wide range of music until 1am. Beer and cider offerings are more varied too, and food very good so far. 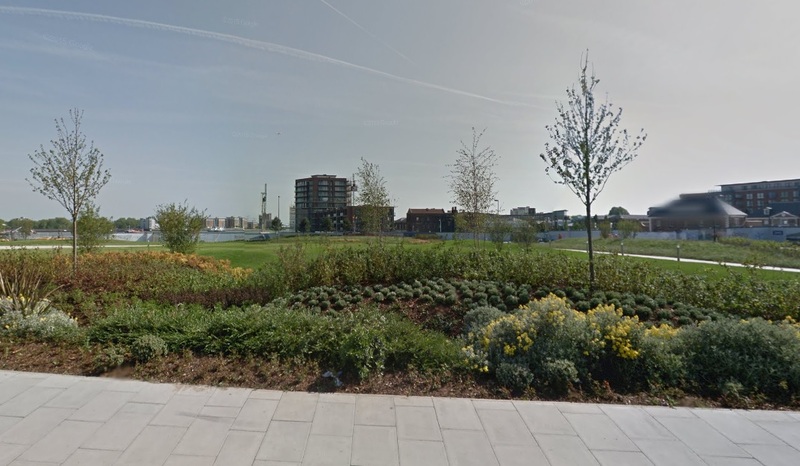 But now two more options are coming to Woolwich on the Arsenal site. One is a Geronimo Inn‘s outfit, who are a gastro-pub chain from Youngs, who as mentioned are the same owners of the Dial Arch. A curious choice to have two outfits from the same business next to each other, seemingly offering very similar things. I suppose Geronimo will offer slightly more formal dining options. Far more exciting is the news that Hop Stuff Brewery, who have had evening brewery openings on the odd Friday night the past year, will now be opening a pub called The Tap Room this Autumn. It’ll be on 15 Major Draper Street, which is a bit further into the site when coming from the station, just past Dial Arch. With this new pub joining the Woolwich Equitable in expanding choice, hopefully it’s the first of many more. Woolwich has thousands of homes under construction within 10 minutes walk. Another possible new pub is another Antic outfit next door to the refurbished art deco co-op. Work is now finally completing on the buildings reconstruction, and 74 flats are contained within. The building was within a whisker of being demolished with Greenwich Council’s approval, before the 2008 crash halted plans. Back on the Arsenal site, and the car park to the west of the site has been converted to a park by Berkeley, as the former park by the river becomes three new towers. It all looks really quite nice, with attractive landscaping in evidence. The newest completed block can be seen in the background. This is not one of the three to go up mentioned above, which are all far taller. The street has been further de-cluttered, though its still frustrating to see Greenwich Council often only permit this, or carry it out, when huge schemes are ongoing beside. It’s cheap and easy to do with immediate environmental improvements. It doesn’t require millions to be spent. By only waiting for huge schemes to happen they are condemning poorer or more established area to ugly and dangerous streets. Many other authorities have carried out audits, seen much street furniture is dated and derived from abolished or altered standards, and removed. It would be good to see councillors leaning on the Highways Department to carry out such a program. It’s an easy win. As ever, much is changing in Woolwich. Housing is proceeding across the town and entertainment options are finally catching up. Who knows, one day soon some proper music venues and a cinema, as it used to have? I do find the Dial Arch a disappointment given the huge potential it has. That said, the recent site works outside the pub have spoilt that some what. Any ideas when the Geronimo pub will open? Great new pubs are moving in, they’ve been reasonable so far…though most exciting is Hop stuff Brewery. My only concern is very apparent apartheid between Royal Arsenal and the rest of Woolwich. All the redevelopment doesn’t feel representative of the locals, but rather a yuppification progressing the next 5 to 10 years. I have been saying that for years. There is no cohesion, just separation. The cafe next to Firepower needs to be a bit more dynamic. It’s in a good position, I like their recruitment policy, and yet they don’t seem to get any lunchtime trade, despite so many builders in the area. The Corner Cafe at the same time has lots of diners. They could have more signs outside so it’s obvious they are open, Specials, loss leaders on particular days just to get people using it; else it will go, like other community things. Sorry but the Firepower cafe recruitment policy is the reason it fails. They seem to have one competent member of staff working and the rest aren’t for whatever reason. Went in there with 3 colleagues and asked for 4 various coffees, the man behind the counter nodded yes to my order, went into the kitchen and never came back. A minute or so later had the conversation with a young lady and she atleast told me she couldn’t use the cofee machine and would go and get the manager. The manager seemed to be deep into the museum somewhere and after a few minutes we upped sticks and went to the corner cafe. On another visit I asked about the free Wifi (advertised on posters in the cafe) and no one knew anything about it, I was told to ask museum staff at the shop in the museum. I would guess when the museum closes in July the cafe will have to go too? so this has no future. As for Woolwich I’m sure that the developers would love to brick up the Beresford gate and wall off the undesireables the other side.